As Secretary of the PGA in Scotland, Shona Malcolm has a passion for helping members succeed by opening doors and providing opportunities. 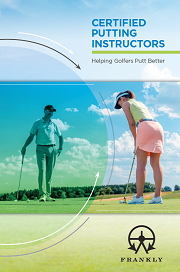 She has her eyes set on the putting green as a way to assist PGA Professionals in enhancing their business and their relationships with club members. “There is a small annual budget to deploy on education for the benefit of PGA members in Scotland. The committee recognised the benefit of broadening access to the Certified Putting Instructor (CPI) qualification for members, making it more affordable and helping to broaden their horizons” said Malcolm. An experienced golf administrator, Malcolm is the first female to hold the post of Secretary in any of PGA’s seven Regions and she brings an innovative mindset as well as energy and enthusiasm to her role. “This initiative was launched several months ago, after identifying the CPI Course as suitable for investment. A deciding factor in this decision was the high level of interest in the CPI Course from PGA members in Scotland. “All of the members that have taken the CPI Course appear to have totally engaged with it. The feedback to date has been extremely positive and, as the end of the season approaches, the opportunity exists to further promote the benefits of the CPI Course and allow members to take advantage of the special subsidy,” said Malcolm. Following the encouraging launch of the CPI Course and member feedback, Malcolm believes there is potential for more PGA Professionals to benefit from the course. “This is the first time this sort of initiative has been promoted to members, and the response to date has been encouraging. 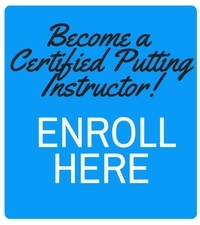 There remains a short window for more members to take advantage of this promotion, and, as the off-season approaches, the time may be right for members to consider enhancing their education by signing up for the CPI course. “At the PGA in Scotland, the members are the first priority, and they should be offered every advantage to develop both themselves and their business. “The benefits of the CPI course are demonstrable and evidence suggests that PGA Professionals who have become CPI’s are making use of their qualification to develop the services they deliver. The online delivery of the CPI Course is also a key component in providing access to members throughout Scotland. “The fact that the CPI Course is delivered online provides a full reach throughout the country and solves any travel issues or expenses. Depending on the location of educational workshops, sometimes participation can be low. “The CPI Course reaches all members wherever they are located and whenever they want to complete the qualification, so everyone can benefit equally, whether they are in the Western or Northern Isles, the Central Belt or the Borders”, said Malcolm.